Customer relationship management (CRM) software will help you to find new buyers, manage old buyers, grow sales and client base, and build a rich real estate business using many seamless features of Agile CRM that will give you the power to automate your daily tasks easily. In the commercial real estate market, relationships come first. Many experienced real estate agents have their own methods for keeping track of client records, marketing leads and data. While this may work for the individual, for a company it’s not ideal. CRM solutions should be adjustable since every company is different. Every type of business has its own specifics and unique business processes, so the software should be adjusted to their specific marketing and sales approaches as well as to their customers’ needs. Perhaps the best feature of a CRM system is the ease with which you can follow up leads. Agents in your office can store all their information in one place, create appointments, set notifications for follow-up calls and more. Also, because it’s in a centralized location, all your employees can use the system to help someone on the spot by sharing client information for optimum results and obtaining access to details even if a colleague is in a meeting, at an appointment, sick, on holiday or no longer at the company. Setting goals for agents is a great way to motivate them to hit higher sales figures, and putting these into a CRM is an easy way to track progress. Also, the CRM lets workers easily organize their workload and set targets so they can visualize what they need to do and by when. Today’s CRM solutions can be used to create sales strategies and plan marketing campaigns. 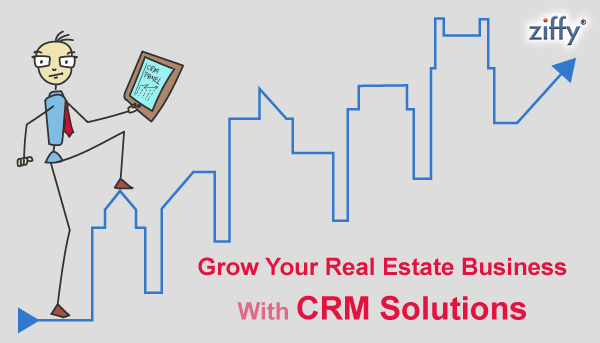 The best CRM software for real estate combines sales and marketing for better lead tracking, data visibility and for scheduling marketing and sales activities in advance. Previous Previous post: Is your Business launched then what next?